The Montreal-based rockers are still churning out pop punk ear candy. We can all probably agree that if there’s one band whose music never seems to get old, it’s Simple Plan's. 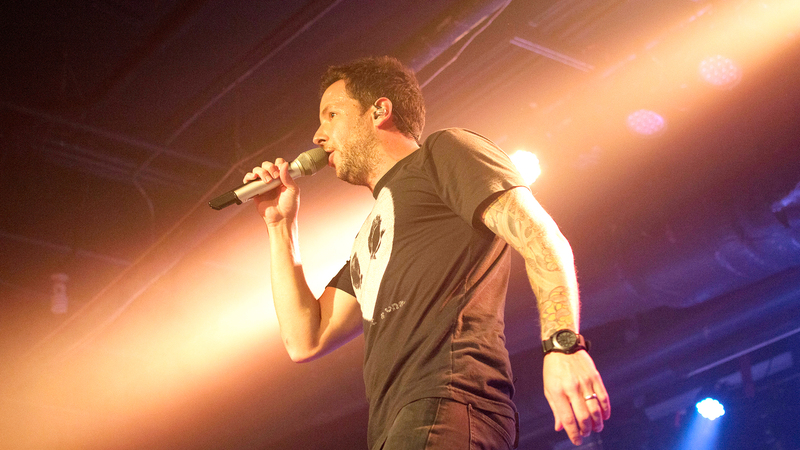 Pierre Bouvier’s one-of-a-kind vocals layered on top of the band’s insanely catchy instrumentations first captured our hearts in the early 2000s with the release of their debut studio album, No Pads, No Helmets…Just Balls. With songs like, “I’m Just a Kid”, “I’d Do Anything”, and our all-time favorite, “Perfect”, this pop punk band caught our eye immediately—and has kept ahold of us ever since. The Montreal-based group released their fifth studio album Taking One for the Team back in February, and it was every bit as awesome as we'd hoped it to be. While the LP stays true to their signature sound, our favorite part is the diversity of collaborations, specifically “I Don’t Wanna Go to Bed” with , and “Singing in the Rain” featuring . Basically, these punk rockers can do no wrong. Simple Plan recently stopped in Baltimore on their Taking One for the Team tour, where we had the chance to snap some pictures of the performance. Check out the photos below and make sure to track the five-piece when they come to a city near you!